Cremation and Memorial Services are becoming a more popular way to celebrate the life of the deceased. We often design a wreath or stylized arrangement to surround or accent the urn or photograph. These kind of pieces are usually ordered by a close family member. Friends and Family will also find pieces to fill the room or tables in our Homestyle section Please call or visit one of our 3 locations if you'd like our help with ideas and planning. 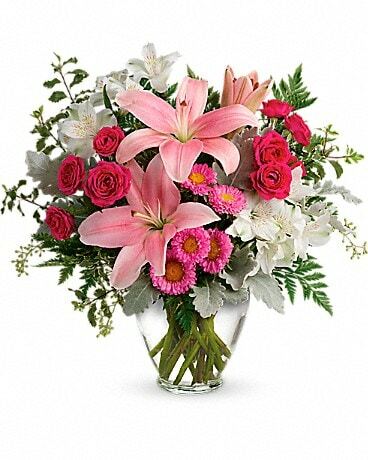 Free Delivery to Funeral Homes in the Capital District When You Place Your Order on our Website. Enter Promo Code: "Funeral" when you check out.